Home » The Law & You » Do I Need a Boat Insurance in Pennsylvania? Do I Need a Boat Insurance in Pennsylvania? So do you need insurance for your boat in Pennsylvania? Insurance attorneys Greg Fellerman and Ed Ciarimboli answer this pressing question. Dave Kuharchik: Thanks for joining us on “The Law & You” on Memorial Day. We have a question that plays into the theme of the day today. 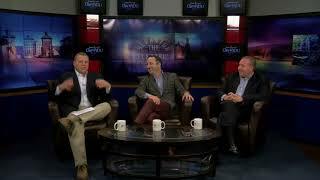 Dave: Attorneys Greg Fellerman and Ed Ciarimboli, thanks for coming in. Ed: I think I may know who has sent this question in. Dave: Well let’s get to it and it’s appropriate for Memorial Day. Greg from Harveys Lake wants to know, “Do I need to have insurance on my boat in Pennsylvania?” And I’m surprised that Greg is asking this because he’s got a giant luxury yacht. It takes up so much space on the lake. I think they would get it insured. Ed: You know he’s out there, on his boat, he’s got a captain’s hat on. Dave: He’s wearing muscle shirts. Ed: Come on, tell them. Greg Fellerman: Yes, you need insurance for your boat. I have it. If you have a jet ski, you need it too. So yes, you need coverage. It’s similar to a car. You need to get to the insurance place, and protect you, your riders, other people. So yes, you need to get insurance. I’ll be riding around today if the weather’s good. Dave: If you’re wondering the guy in the giant boat taking out the whole. Ed: That’s it. He’s the guy. Dave: But in the case of a holiday weekend like this, there may be some people watching that they run into an issue. You guys are there, they can reach out to you. How can they do that? Greg: Just give us a call, 570-714-HURT. See us on the web, 714HURT.com. Social media. Ed: Be safe out there on your boats today. Don’t drive under the influence of alcohol or drugs because it’s just as serious as a DUI. Greg: The Game Commission is out there. They do a great job. They’re there for our safety. They’re out there so please, respect them. And listen to what they have to say because it needs to be safe in any body of water in the Commonwealth of Pennsylvania. Ed: And if you want to spot Greg’s boat, it will be the one playing 80s hair metal at the highest octave there is. Dave: I hear he has a wig mullet. Ed: Yeah I need a mullet. Dave: All right, results matter with attorneys Greg Fellerman and Ed Ciarimboli. Guys, enjoy your evening and we’ll see you next time.